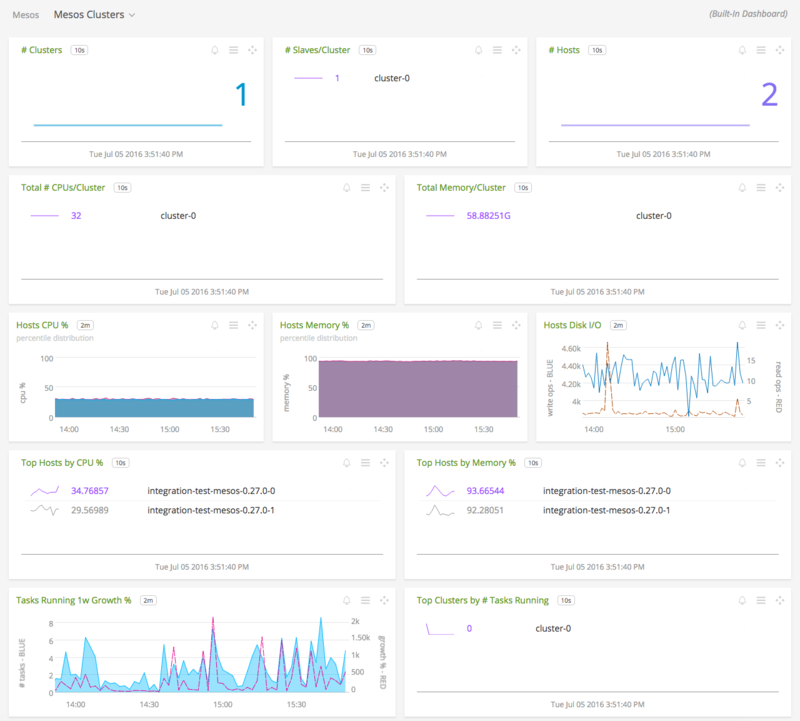 Mesos Clusters: Overview of data from all Mesos clusters. 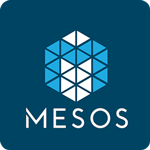 Mesos Cluster: Focus on a single Mesos cluster. 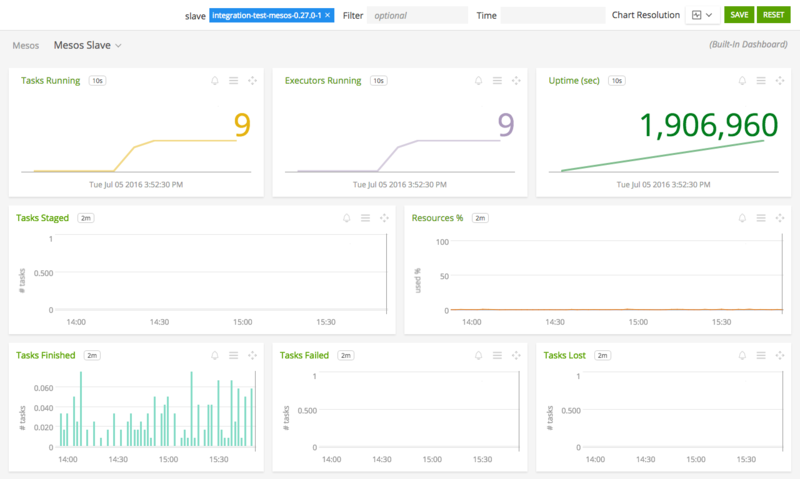 Mesos Master: Focus further on a single Mesos master. 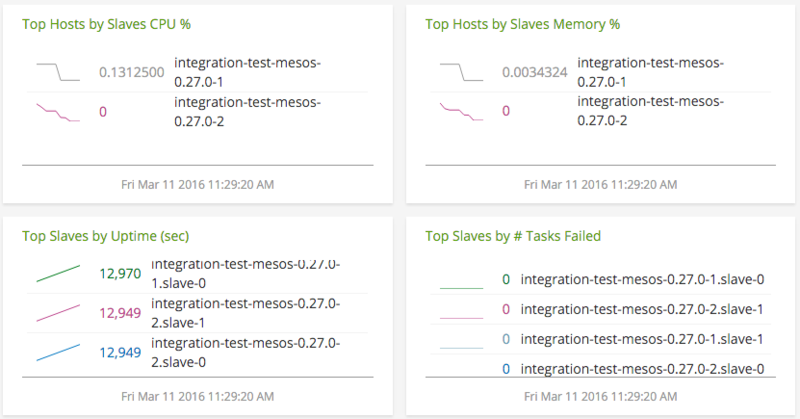 Mesos Slave: Focus further on a single Mesos slave. Download SignalFx’s sample configuration files for a Mesos master or a Mesos slave to /etc/collectd/managed_config. Modify the configuration file to contain values that make sense for your environment, as described below. OPTIONAL: This step needs to be followed when the Mesos cluster being monitored is running under a DC/OS cluster operating in strict mode. Make a new user on DC/OS. Configure the plugin with the required options. See below. Note: The /system/health/v1 endpoint on port 1050 for DC/OS is not available if operating in strict mode. Using the example configuration files 10-mesos-master.conf or 10-mesos-slave.conf as a guide, provide values for the configuration options listed below that make sense for your environment and allow you to connect to the Mesos instance to be monitored. Note: (Applicable if operating DC/OS in strict mode) The default dcos_url makes use of the leader.mesos hostname provided by DC/OS. If the hostname does not exist, dcos_url can be set by the user. See below example. Its important to keep track of the status of tasks in the cluster. An increase in failed tasks for a master or slave can indicate a problem with a framework. 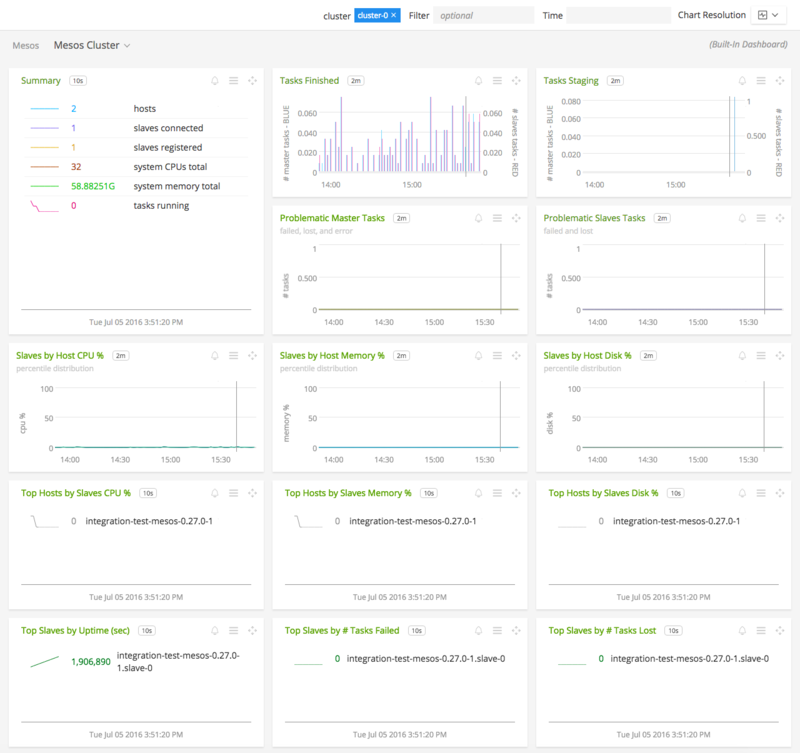 It can be important to analyze performance per Mesos host. An increase in failed tasks for many masters and slaves on a single host may indicate a hardware problem. 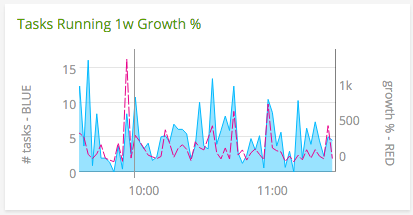 Track week-over-week growth of tasks in your cluster to be informed of changing workloads. 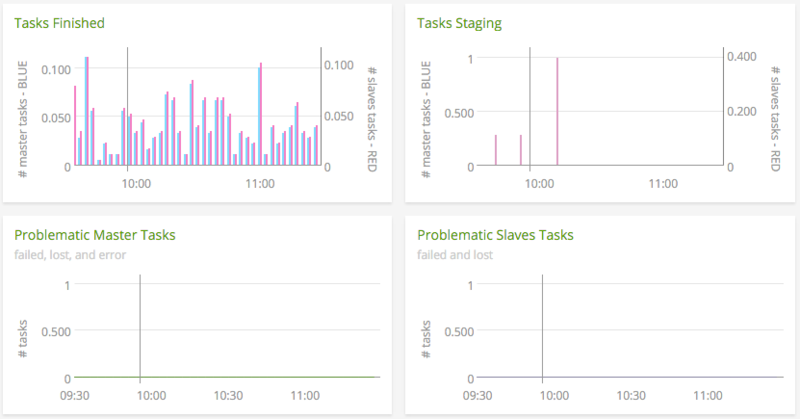 An unexpectedly low number of connected slaves on a Mesos master can indicate a network problem preventing them from connecting. To verify this, check to see if theres an unexpectedly high number of dropped messages in counter.master_dropped_messages. 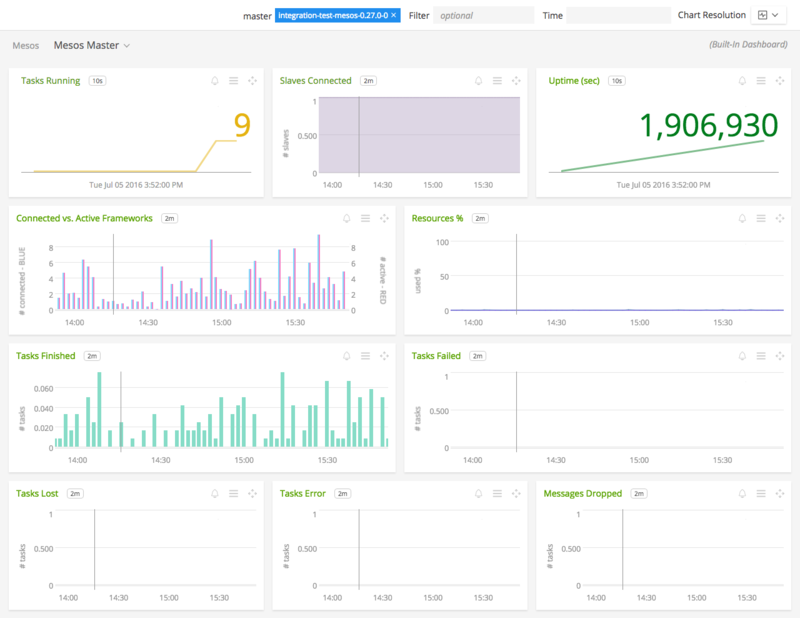 On the Mesos master dashboard, you can view in detail the number of tasks that are finished, failed, lost or errored out. 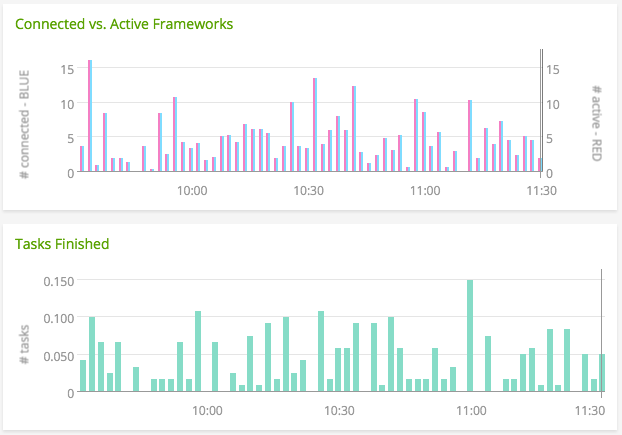 Monitoring connected and active frameworks can help you determine the health of your Mesos scheduler. For additional information on how to monitor Mesos, check out Apache’s guide here. Free memory in bytes, on this system. Total memory available in bytes, on this system. every reporting interval report the count we’ve seen. Number of dropped messages, on this master. Number of invalid framework to executor messages, on this master. Number of invalid status update acknowledgements, on this master. Number of invalid status updates, on this master. Number of authentication messages, on this master. Number of framework deactivation messages, on this master. Number of offers declined, on this master. Number of terminated executor messages, on this master. Number of messages from a framework to an executor, on this master. Number of kill task messages, on this master. Number of launch task messages, on this master. Number of reconcile task messages, on this master. Number of framework registration messages, on this master. Number of slave registration messages, on this master. Number of framework re-registration messages, on this master. Number of slave re-registration messages, on this master. Number of resource request messages, on this master. Number of offer revival messages, on this master. Number of status update messages, on this master. Number of status update acknowledgement messages, on this master. Number of framework unregistration messages, on this master. Number of slave unregistration messages, on this master. Number of slaves not re-registered during master failover, on this master. Number of slaves that were able to cleanly re-join the cluster and connect back to the master after the master is disconnected, on this master. Number of slave removed for various reasons, including maintenance, on this master. Number of slave re-registrations, on this master. Number of cancelled slave shutdowns, on this master. This happens when the slave removal rate limit allows for a slave to reconnect and send a PONG to the master before being removed. Number of slaves which have failed their health check and are scheduled to be removed, on this master. They will not be immediately removed due to the Slave Removal Rate-Limit, but master/slave_shutdowns_completed will start increasing as they do get removed. Number of tasks that were invalid, on this master. A task is invalid when the task launch attempt failed because of an error in the task specification. Number of failed tasks, on this master. A task has failed when the task aborted with an error. Number of finished tasks, on this master. A task has finished when the task completes successfully. Number of killed tasks, on this master. A task has been killed when the task was killed by the executor. Number of lost tasks, on this master. A task is lost when the task was running on an agent that has lost contact with the current master (typically due to a network partition or the agent host crashing). Number of valid framework to executor messages, on this master. Number of valid status update acknowledgement messages, on this master. Number of valid status update messages, on this master. Number of terminated executors, on this slave. Number of invalid framework messages, on this slave. Number of invalid status updates, on this slave. Number of errors encountered during slave recovery, on this slave. Number of failed tasks, on this slave. A task has failed when the task aborted with an error. Number of finished tasks, on this slave. A task has finished when the task completes successfully. Number of killed tasks, on this slave. A task has been killed when the task was killed by the executor. Number of lost tasks, on this slave. A task is lost when the task was running on an agent that has lost contact with the current master (typically due to a network partition or the agent host crashing). Number of valid framework messages, on this slave. Number of valid status updates, on this slave. Number of CPUs available, in this cluster. Number of allocated (used) CPUs, in this cluster. Disk space available in MB, in this cluster. Allocated (used) disk space in MB, in this cluster. Whether this is the elected master (1 if it is, 0 if not). Number of dispatches in the event queue, on this master. Number of HTTP requests in the event queue, on this master. Number of messages in the event queue, on this master. Number of active frameworks with tasks, on this master. Number of connected frameworks, on this master. Number of disconnected frameworks, on this master. Number of inactive frameworks, on this master. Memory available in MB, in this cluster. Allocated (used) memory in MB, in this cluster. Number of outstanding resource offers, on this master. Number of active slaves with tasks, on this master. Number of connected slaves, on this master. Number of disconnected slaves, on this master. Number of inactive slaves, on this master. Number of running tasks, on this master. A task is running after it starts running successfully. Number of staging tasks, on this master. A task is staging when the master has received the frameworks request to launch the task but the task has not yet started to run. Number of starting tasks, on this master. A task is starting when a custom executor has learned about the task (and maybe started fetching its dependencies) but has not yet started to run it. Uptime in seconds, on this master. Number of queued operations in registry. Registry read latency in ms. Registry write latency in ms. Maximum registry write latency in ms. Minimum registry write latency in ms. Median registry write latency in ms.
90th percentile registry write latency in ms.
95th percentile registry write latency in ms.
99th percentile registry write latency in ms.
99.9th percentile registry write latency in ms.
99.99th percentile registry write latency in ms. Number of CPUs available, on this slave. Number of allocated (used) CPUs, on this slave. Disk space available in MB, on this slave. Allocated (used) disk space in MB, on this slave. Number of executors registering, on this slave. Number of executors running, on this slave. Number of terminating executors, on this slave. Number of active frameworks, on this slave. Memory available in MB, on this slave. Allocated (used) memory in MB, on this slave. Whether this slave is registered with a master (1 if it is, 0 if not). Number of running tasks, on this slave. A task is running after it starts running successfully. Number of staging tasks, on this slave. A task is staging when the master has received the frameworks request to launch the task but the task has not yet started to run. Number of starting tasks, on this slave. A task is starting when a custom executor has learned about the task (and maybe started fetching its dependencies) but has not yet started to run it. Uptime in seconds, on this slave. Number of CPUs available, on this system. Load average for the past 15 minutes, on this system. Load average for the past minute, on this system. Load average for the past 5 minutes, on this system. Percentage of allocated (used) CPUs, in this cluster. Percentage of allocated (used) disk space, in this cluster. Percentage of allocated (used) memory, in this cluster. Percentage of allocated (used) CPUs, on this slave. Percentage of allocated (used) disk space, on this slave. Percentage of allocated (used) memory, on this slave.